The USDA/1890 National Scholars Program was established in 1992 as part of the partnership between the U.S. Department of Agriculture and the 1890 Land-Grant Universities. 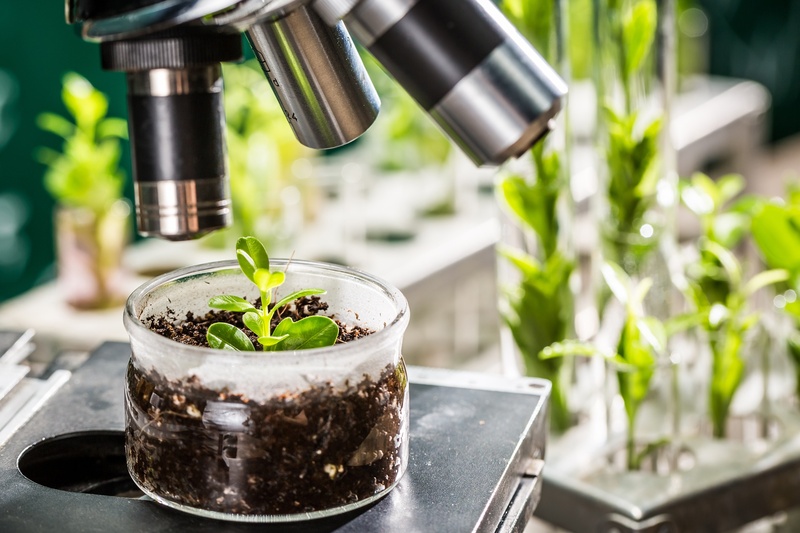 The goal of the USDA/1890 National Scholars Program is to increase the number of students studying agriculture, food, natural resource sciences, and other related disciplines. The program is open to high school seniors, rising college sophomores, and juniors who exhibit exemplary leadership traits and demonstrated community service. The Scholarship is highly competitive and provides for full tuition payment, among other benefits, for up to 4-years to selected students enrolled or accepted for enrollment at an 1890 Land-Grant University. The USDA/1890 National Scholars Program is a partnership between the U.S. Department of Agriculture (USDA) and the 1890 Historically Black Land-Grant Universities. The program awards scholarships to students accepted to or attending one of the 1890 Land-Grant Universities in pursuit of a bachelor's degree in agriculture, food, natural resource sciences, or related academiv discipline(s). ● To strengthen the long-term partnership between USDA and the 1890 Historically Black Land-Grant Universities. ● To increase the number of students studying agriculture, food, and natural resources sciences, or other related discipline(s). Scholarships are awarded annually and must be used at one of the 1890 Land-Grant Universities. Each award provides full tuition, as well as fees, books, and room and board, reneweable each year for the term of the scholarship. The scholarship renewal is contingent upon satisfactory academic performance and normal progress toward the bachelor's degree. ● Be a U.S. citizen. ● Have been accepted for admission to an 1890 Land-Grant University. ● Have a high school cumulative GPA of 3.0 or better (on a 4.0 scale). ● Have a combined verbal/math/written score of 1,080 or more on the SAT (note: 1,000 or more combined for those universities that only accept verbal/math score) or a composite score of 21 or more on the ACT. ● Intend to study agriculture, food, natural resource sciences, or other related academic disciplines. ● Demonstrate leadership and community service. ● Submit the most recent official transcript with the school seal and/or the signature of an authorized school official. ● Submit a 500-800 word essay describing (I) my interest in USDA, (2) how I envision the scholarship will impact me personally and my future as a public servant, and (3) my experiences and perceptions about agriculture, food, and natural resource sciences. ● Submit a signed and dated application (original signature only). ● Completed Privacy Act Advisory Statement and Release Form. ● 500-800 word essay on the designated topics. ● High School Counselor'sAssessmentReport (see page 18) in a sealed envelope. ● High School Teacher's Assessment Report (see pages 20-24) in a sealed envelope. Applicants are responsible for obtaining the Assessment Reports of the High School Counselor (pages 18-19) and the High School Teacher (pages 20-24). These Assessment Reports should be in a sealed envelope and included with the application package. All application materials must have original signatures and seals/stamps. Application materials containing photocopied signatures and transcripts will not be considered for the USDA/1890 National Scholars Program scholarship. ● Have been admitted to or be currently attending one of the 1890 Land-Grant Universities. ● Have a cumulative GPA of 3.0 or better (on a 4.0 scale). ● Submit a current official transcript with the school seal and/or the signature of anauthorized school official (preferably through the most recent semester). ● Submit a 500-800 word essay describing (I) your interest in USDA, (2) how you envision the scholarship will impact you personally and your future as a public servant, and (3) your experiences and perceptions about agriculture, food, and natural resource sciences. ● Signed Privacy Act Advisory Statement and Release Form. ● Two letters of recommendation (one from either the Department Head, Dean, orVice President of your College or University, and one from a College or UniversityProfessor who has instructed the applicant). ● Official transcript with raised seal and/or the signature of an authorized college/university official. ● Original signed and dated application. All documents must be submitted in one application package. The application package must be postmarked by the application deadline, Wednesday, January 31, 2018. Applicants are responsible for ensuring that the college/university prepares a current official transcript and that the transcript is submitted by the application deadline. All application materials must be originals, with original signatures, seals and/or stamps. Application materials containing photocopied signatures and transcripts will not be considered for the USDA/1890 National Scholars Program Scholarship. 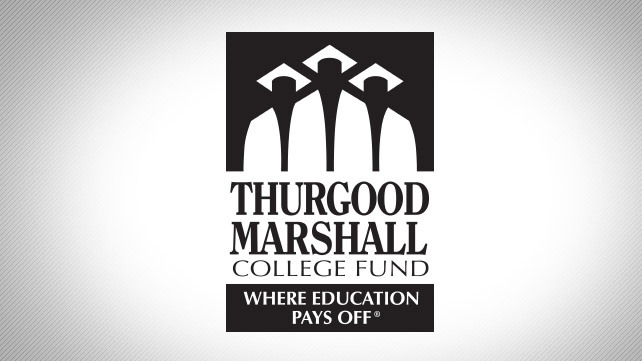 The Thurgood Marshall College Fund (TMCF) in partnership with Apple is proud to announce the application for the 2018-19 class for the Apple HBCU Scholars Program is now open to outstanding students with a minimum 3.3 GPA who will be graduating between December 2018 and May 2019. Selected Scholars will participate in a 12-week internship during the summer before their senior year, and will receive up to $25,000 in scholarship funding based on individual financial needs that will be applied to their final year of study. Please see the attached flyer that includes the overview of the program. For more information, you can contact Bernée E. Long, Director, Distinguished Scholars Programs, at bernee.long@tmcf.org. The application deadline for the program is 11:59 pm EST on Sunday, September 17, 2017.